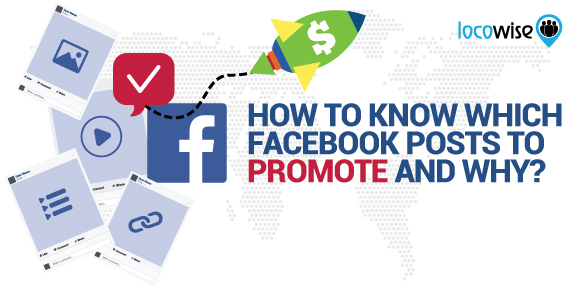 How To Know Which Facebook Posts To Promote And Why? In recent years, both Twitter and Instagram have been trying to promote their advertising opportunities. Yet, today, Facebook is still the platform of choice when it comes to social media marketing. One of the biggest reasons why advertising experts often choose the social network is the size of the audience. Combined with a diversity in the market and with a side-dish of worldwide perspectives, a brand is often guaranteed the ability to reach its specific target audience via sponsored content. The process, usually in the hands of a digital marketing agency, includes content creation, planning, optimization of the campaign, analysis and execution. But a question that often goes unnoticed when selecting an advertising option on the social platform is whether to go “boost” or full-force and ultimately which Facebook posts you should promote and why. The two major types of advertising for Facebook pages are boosted content and Facebook Ads. Even though the topic regarding the differences between the two is worthy of a blog post on its own, what you should be aware of is that both options are valuable depending on your situation and marketing goal. Facebook ad variants are perfect if you want to directly advertise your product to a select audience group with actionable and responsive content. What’s more, this type of ad allows you to customize your target audience with microtargeting behavioral and location-based options that aren’t available via boosted page posts. Another benefit is the multi-platform cross-promotion with Instagram content. With all the benefits that come when you choose Facebook Ads, it’s rather obvious that they are a useful feature. Yet, for certain marketing goals, boosted posts might help you achieve better results. For starters, page posts should already be a part of your content strategy thus you won’t have to create any additional content for a specific marketing campaign. The advertising is simple and easy to implement with just a few button clicks. Plus, it allows you to directly promote your Facebook business page within a more broad target audience, but it doesn’t restrict your original post reach. What’s more, the post itself will still appear on your Facebook page thus you won’t lose any organic traffic and the post content that you already have. That being said, if you don’t want to dive into a difficult to plan and execute Facebook ads variant strategy, but you are still eager to receive the benefits of advertising via boosting your posts, which posts are best to promote? Let’s discuss the four different post types and the cases that are perfect for each of them. The social network offers a wide variety of different advertising options many of which are actionable and allow you to easily increase your social media conversion. In fact, Facebook for Business has a detailed library of examples and information that might help a digital agency in their choice. Not to mention, Facebook IQ often provides with deep insights on how to go into planning your next business move through social media. With all that’s being offered on the table, it’s easy to see how the notion of boosting an existing link post you’ve recently shared is not that appetizing. For the past couple of years, especially following the introduction of Facebook Video (and Live Video), link sharing posts have been slowly, but steadily decreasing in terms of total engagement and engagement rate. And it doesn’t appear that links are making a slight resurgence especially compared to status updates. But what’s rather surprising is that despite the fluctuation in both photo and status update posts in terms of total engagement, engagement rate and reach, links don’t appear to have the same problem. Yes, the numbers might be different compared to previous years, yet links do manage to retain some consistency throughout longer periods of time. The prime reason for this lies within media relevancy and content fulfilling nature that links are able to provide. With a link, you not only have a certain level of flexibility, but you are also able to provide with detailed information on a matter that is relevant with virtually no limitations. Plus, links have the constant benefit of driving traffic to a website, which is usually one of the reasons for the creation of a Facebook page itself. Why use link posts as boosted/sponsored content? Link posts should be a cornerstone of any Facebook marketing strategy for a brand. While other types of content help you increase your brand reach and improve your engagement and growth, without link posts a social media marketing campaign is, in most cases, pretty much useless for things other than branding. Promotion of link posts might not be the best choice for a marketing goal that has a target of better brand recognition, but is perfect for one that is evaluated via website traffic and website content analytics. As aforementioned, status update post engagement often fluctuates. The total engagement is often far lower compared to any other post type. However, the main reason for this is that brands tend to avoid the use of this type of posts in their marketing campaigns on social media. That being said, and as ER goes to show, status updates can often lead to better engagement than both links and images, and other times they are at the back of the pack. With such uncertainty in the potential engagement, it’s easy to see why this type of post is rarely the best choice. In addition, all the other post types available on Facebook do have the basic feature of a status update. Thus, the use case scenario of when a status update should be the prefered sharing method is quite narrow. When to promote a Facebook status update? It’s difficult to make the case for Facebook status update promotion. In fact, instead of boosting a simple status update on your page, you’d be far better off to aim for almost any other type of Facebook Ads or boosted content advertising option. Is the promotion of Photos on Facebook worth it? Ever since the introduction of videos, photos are becoming less relevant on Facebook. Although popular within the internet culture spectrum (memes, motivational photos), for a brand, photos are often a way to enhance their visual reach or share a humanizing post. With lower engagement across the board and further noting on the reasoning behind photo posts, it’s easy to see why boosting a photo post might not be the best choice. In fact, with the introduction of Facebook shop and adding onto the Facebook Ads variants that allow you to present amazing visual content, including photos, in far more actionable ways, the promotion via a boost of an existing photo post does seem rather irrelevant. Case and point, while Facebook Ads are more actionable than links, videos and status updates, all other three post types do present a certain alternative in use and purpose. While flexible, photos do seem to be, while not as obvious, one of the worst choice for boosted post promotion. There’s a particular reason why video is currently the king of Facebook content. Just scratching the surface, it is engaging in nature and it allows for broader messages, including brand ones. Plus, with the continuous rise of mobile use and the introduction of video playback, there’s just no way of getting around watching videos on the social network. Primarily used for socializing, Facebook is a network in which video thrives within particular spectrums. Soothing videos that draw you in are perfect examples of videos that work. Short and funny jokes that have viral-potential are also great. Serious videos that play on emotional strings, while controversial, often get great results. Not to mention, for a brand, posting a humanizing video of a team, the CEO speaking, or just a funny office prank, including anything in between, is also a great way to advance your marketing towards your audience. The verdict is simple and clear in that Facebook video and live video are simply great. Videos are great for boosting, right? Is Facebook Boosted Promotion Worth it? There are certain cases in which boosting your Facebook content is great. It is simple with just a click away and while it doesn’t provide you with the customizability of Facebook Ads, it does allow you to promote existing Facebook page content. So is it worth it? It depends on the case. Plus, the analytics can always help you out! Locowise can notify you of your high performing organic posts and you can choose to boost those posts only. They have already proven that they work and can grab the attention of your audience, and can serve as a great and cost-effective advertising opportunity. Sign up for a free 7-day trial today.